ALEXANDRIA, IN – Daniel Lee Hamilton, 60, passed away on Thursday, July 12, 2018 at Community Hospital in Anderson following an extended illness. 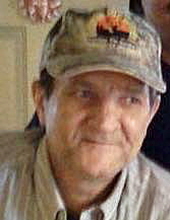 He was born on March 13, 1958 in Elwood to Arvil and Eva (DeHart) Hamilton and was a lifetime resident of Alexandria. He had worked at Future Fabricating in Anderson. Danny enjoyed NASCAR, football and most sports. Family and friends are invited to attend graveside services at 1 pm on Monday, July 16, 2018 in Park View Cemetery in Alexandria. Pastor Adam Lambert will officiate. Noffze Funeral Home in Alexandria is honored to care for Daniel and the Hamilton family. To send flowers or a remembrance gift to the family of Daniel Lee Hamilton, please visit our Tribute Store. "Email Address" would like to share the life celebration of Daniel Lee Hamilton. Click on the "link" to go to share a favorite memory or leave a condolence message for the family.